AUSN represents a monumental historic development: the First-ever Master of Public Health (MPH) program and the first Ph.D. program to be located on Native American Sovereign Land, and the First-Ever Masters in Bioethics and Global Public Health in the world. AUSN offers 7 Masters degrees and a PhD degree to all persons, regardless of nationality, gender, race, age, or any other arbitrary barrier to being a human being! Flexible onsite, intensive workshops, group skype, combination delivery program - students can start immediately. For a brochure of the University go to the AUSN site. 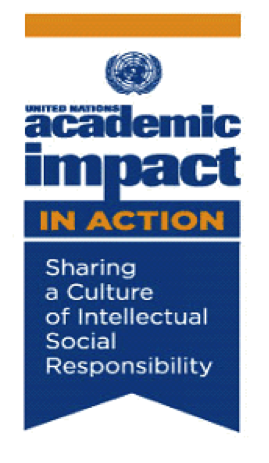 AUSN has an expressed and dedicated commitment toward academic excellence, the pursuit of truth and social justice, the discovery of new knowledge through the attainment of the highest level of academia, scholarship, research, critical-thinking and analysis. AUSN is strongly based in the promotion of respect for human rights, fundamental freedoms, peace, the sense of human dignity, and the promotion of understanding, tolerance and friendship amongst all nations and all peoples.﻿ AUSN has a cooperation agreement with Eubios Ethics Institute, and Professor Darryl Macer, the Director of Eubios Ethics Institute is President of AUSN. We welcome students of all ages, gender, ethnicities, abilities, gifts and backgrounds! We offer combination hybrid (online and/or onsite) options. Our faculty are global thought leaders who have joined this unique endeavor, from around the world! In case of hardship we will waive the application fee! Some applications for scholarships will also be granted…please refer to the AUSN website. We are also conducting innovative research at the School of Indigenous Peoples and Global Studies, and School of Sustainability Science and Knowledge Traditions, you can also join our family of research fellows. Welcome to this unique endeavor in international and indigenous education at the American University of Sovereign Nations (AUSN). We have Memorandums of Understanding with over 30 universities and institutions around the world, providing unique opportunities for becoming a global citizen in your studies and future life. AUSN is a registered public charity with the US Internal Revenue Service (501c3). Dr. Endreya McCabe, former Vice-President, American University of Sovereign Nations Student Association (Email: okiegirl93@gmail.com). Graduates of AUSN are encouraged to join AUSN Alumni Association. AUSN and EEI have a number of joint conferences and programs, please refer to the general pages of both institutions, including those of Conferences. AUSN also has Research Fellows, and you can apply to join AUSN. 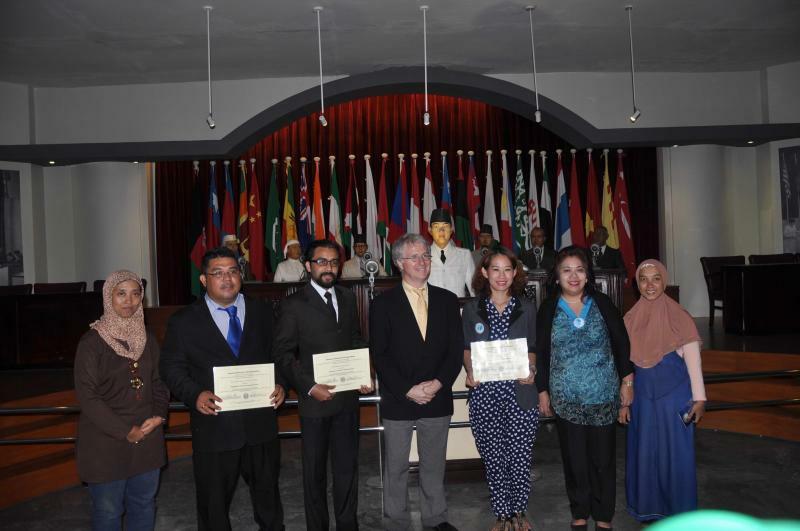 The first three graduates from AUSN graduated in a ceremony at the Asai-Africa Summit Hall, Bandung, Indonesia, on 24 May 2015, during the YPA10 conference. 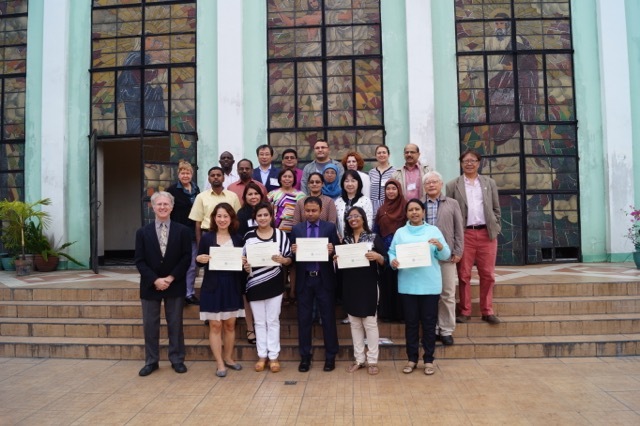 Ananya Tritipthumrongshok, Muhamad Zial Huq and Sol Erwon Diaz graduated with the Postgraduate Certificate in Community and Peace. Since then many have graduated, and a hundred students from 40 countries of the world are enrolled. There are students graduating most months since then. There is no reason not to join the AUSN Alumni all around the world serving our world!